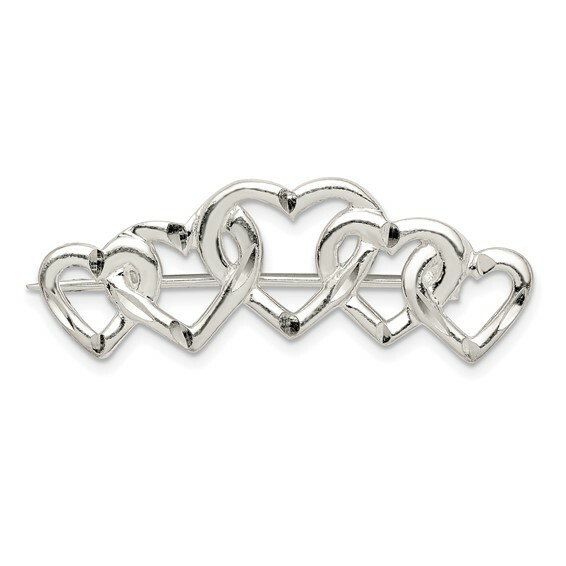 Sterling Silver Satin Finish Diamond Cut Five Heart Pin. Weight:3.94 grams. Measures 5/8 inches tall by 1 9/16 inches wide without bail.